I've been playing Armed Police Batrider for the past two weeks and feel like I haven't gotten anywhere. Earlier today I just bummed out on it, and popped in Ketsui, which I had been putting off playing till I had the drive to finally go for 100 mil+ and a 1-loop clear. Second game of the day and I best my old high score by some 10 million points. I started working on stage 5 after a few games as I don't have a ton of patterns for it, but stage 4 is pretty solid now, which was my stumbling block previously. 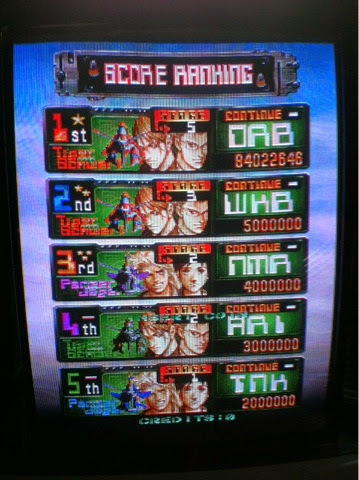 Ketsui high score # 11 - 97,985,343, 1-5 boss!